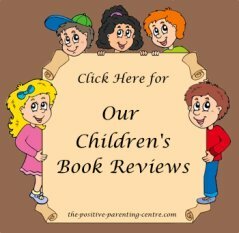 The following material in our list of best parenting books can be purchased through our trusted and reputable affiliates. Clicking on the book links will take you directly to their sites for more information about the book. Click on the categories below to explore our recommendations. The distinguished child therapist and educator Jane Nelsen is one of our favourite authors on the subject of positive discipline. Her firm but kind approach is one to be modeled by any parent wishing to raise children in a warm nurturing manner. Most of Jane's material has been expressively written for both parents and teachers. An outstanding collection of well written, easy to understand discipline strategies for any parent or teacher. She offers CD & DVD versions of her products and offers positive discipline training courses as well. A wonderful parenting guide from infants to teens. Loaded with sound advice in a wide range of subjects. This book has lots of wonderful insight for parents looking to better understand positive discipline. This is probably one of the most influential books on parenting derived from the fundamentals of Adlerian psychology. Its philosophy has been referenced and recommended by most professionals that advocate the principles of positive discipline. It provides insightful knowledge in understanding your child's environment and the psychological mechanisms involved in motivating their behaviour. The method of punishment and rewards are explored with the potential hazards revealed. Elimination of power struggles, positive communication, making choices and living with the consequences are just a few of the many topics covered. It is an easy read and real eye opener. Each chapter is short, to the point, and extremely enlightening. A must-read for any parent wishing to better understand their child and build a strong lasting relationship. It is by far one of the best parenting books I have read to date. Written collaborately by: Rudolf Dreikurs, M.D. and Vicki Soltz, R.N. In this enlightening book Barbara Coloroso categorizes parenting philosophy in three styles she refers to as Jellyfish, Brick-wall, and Backbone parenting. While avidly promoting Backbone parenting throughout the book she differentiates the three styles exposing the negative consequences of Jellyfish and Brick-wall parenting. Using a broad range of subject matter she articulates the benefits for parents to empower their children, not control them, and teach them how to think not what to think. Building a positive self-esteem by instilling responsibility, integrity, and developing problem solving skills are a key focus in her parenting strategy. The book is loaded with sound practical advice and is a must-read for any parent regardless or their child's age. Her strategy is synonymous with the positive philosophy we strongly promote throughout our site. This exceptionally well written book will assist any parent in building a positive relationship with their child. The authors focus on active and empathic listening skills that are so important in building trust and respect in family relationships. The consequences of praise are explored in detail with recommended strategies for the most positive and effective approach to use. Parents will learn to cope with, and teach their children how to deal with negative feelings of frustration, anger, and disappointment. Alternatives to punishment, and the promotion of self discipline are high in their parenting strategy, as are maintaining goodwill and cooperation. This book does a wonderful job of articulating how good, positive communication is the foundation to a strong family relationship. Along with suggested exercises to perform, it is laced with cute cartoons for a visual perception and pleasurable read. The lessons learned from this book will enhance your overall communication skills in all areas of your life. Pick up a copy today and enrich your communication skills, and your life. A fascinating look into a child's perception. An excellent parental resource for truly understanding how your child sees the world and why they think the way they do. By looking at the world through the eyes of your child you will learn to detect and decode their troubling thoughts and misconceptions. The author navigates through many milestones your child may encounter and demystifies what is often seen as unusual and confusing behaviour. Armed with a new sense of awareness your parenting approach will become much more enlightening, understanding and empathetic. The topics are too numerous to cover here. Although it was written in 1999, the subject matter and philosophy are all pertinent in today's often confusing world… from toddlers to teens. I highly recommend this book, another must-read for any parent. For an in-depth understanding of the importance of reading aloud to your children, pick up a copy of Jim Trelease's book. Learn the tricks and techniques of reading aloud to truly capture your child's full and undevided attention. Awaken their imagination, improve language skills, and motivate a love and desire for life long reading. It is an excellent resource for parents and teachers, there is a "Treasury of Read-Alouds" with 120 pages of suggested readings. This is the seventh and final revised addition of the best selling classic. 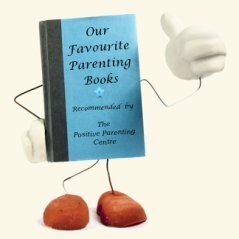 Enjoy our selection of fun and inspirational reading for parents. A heart-rendering story of a beautiful, kind, loving 12 year old girl named Amanda forced to endure many agonizing years of relational bullying. For Amanda, the social out-casting, exclusion, and threats on her life precipitate a horrible battle with anxiety, panic attacks, night terrors, and severe depression that cut deep into her soul, leading to recurrent thoughts of suicide. The book chronicles the distress and mental anguish endured by Amanda, leading to her eventual diagnosis of Post Traumatic Stress Disorder. The negative effects and toll it takes on all members of her loving and supportive family are also revealed in the book. In collaboration with Julie Christiansen, Amanda's mother Laurie Flasko does an outstanding job articulating the hard lessons learned from her struggles navigating countless obstacles in the educational system. This book is loaded with concrete advice for parents with a child faced with a bullying situation, how to advocate for their child, along with suggested game plans to enact within the school system. This book is a real eye opener where parents will become informed with a deep understanding of the traumatic effects bullying can have on the entire family. 'Bullying Is Not A Game' covers the heeling process, relationship recovery, rebuilding confidence and the return to a sense of security for the victim. It has an extensive resource section for child and family support, along with many suggested internet resources. This exceptionally informative book will greatly assist parents, teachers, and school administrators in promoting joint responsibility in the creation of anti-bullying initiatives. Extremely well written by Laurie Flasko and Julie Christiansen, M.A. Pick up a copy of this book and read it before your child becomes a victim of bullying. The author presents a compelling case to back her personal opinion that kids bullying is mostly an adult problem, about 80% while 20% rests with our kids. The book encourages adults to walk their talk, shed excuses, step up to their responsibility and take a moral leadership role in setting standards of respect for all, by all. A great deal of emphasis is placed on early intervention as a key element in bullying prevention. A team approach among parents, teachers and all school personnel is strongly advocated, with the promotion of self-respect at the forefront. An excellent perspective on the pros & cons of bullying laws is presented. 'Bullying Epidemic' offers a multitude of tools and guidance for parents and teachers to help children develop social skills, conflict resolution strategies, stress management skills, along with methods for developing emotional intelligence. This extremely talented author, Lorna Blumen is an educational consultant and bullying prevention specialist in Toronto, Ontario. Lorna is also co-author of "Girls' Respect Groups: An Innovative Program To Empower Young Women & Build Self-Esteem!" The Girls’ Respect Groups Program, for young women ages 10-18, is used in 130 countries worldwide. I enthusiastically recommend this book. It is a must-read for all parents, teachers, coaches, counselors and anyone working with children. The author shares the story of her daughter Katie's taunting at school, which was initially caused by her using a Star Wars drinking bottle. Confused and concerned for Katie she set out on a pursuit for answers and understanding. The findings through her extensive research eventually led to the writing of this extremely informative book. The book helps to distinquish bullying from light teasing, covers the many different reasons why children bully, and why witnesses (bystanders) don't want to get involved. There is a compilation of stories about bullying situations, along with steps that were taken in handling each situation. It offers some wonderful advice for guiding your child in turning around a bullying situation. Cyberbullying, sexting, and sexual harassment are also covered in the book. The author does a wonderful job expounding the responsibility of both the media and educational system. It outlines how parents can assist in creating an environment less likely to produce bullies by developing a community willing to stand up for the victims. Also included is an appendix of bully proofing strategies and character education for schools to contemplate. An excellent resource for teachers, parents and anyone working with children. Hats-off to Carrie Goldman, author of this compelling and well written book.